Home buyers and home builders need to be cautious when they are ordering their building construction drawing. It is very easy for either of them to be overcharged and still not get what they really want. The problems faced by the home buyer and builder might be slightly different, but the outcome can be the same if you don’t request a drafting quote. 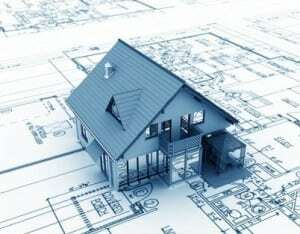 For the home builder the problem could be an issue of a drafting company taking your business for granted. You may have been doing business with the same drafting firm for years and watched as your prices slowly increased and just assumed it was a normal increase throughout the market. It might be your drafting company has started taking advantage of the fact you do not get quotes and has raised your prices. The way around that issue is to start requesting a free drafting quote from at least one additional drafting company. You many not choose to completely leave your existing company behind, but may quickly discover having a little competition between two firms can help to lower your costs, even if it is only during the quoting process. Just keep in mind price is not the only factor you are concerned about. You want your drafting solutions to come from a company who is familiar with the Queensland area around Brisbane and Sunshine Coast and understand the geography and local politics. You want someone who understands your needs as a builder while keeping the home buyers interests in mind. You are looking for a company who fills all of those needs like Drafting Concepts of Sunshine Coast. For home buyers, you problems with getting overcharged are a little different. You might run into a drafting company who thinks you are not aware of pricing like a builder and they can charge you a higher price. We recommend you always get a free drafting quote up front and if you feel the price is too high get a second quote from another firm. Make sure the companies you get quotes from work with builders along with home buyers. You can feel confident someone providing drafting solutions to locals builders is going to be up to date on most common regulations. Companies like Drafting Concepts has an almost even split of business between construction companies and the home buyer. This mix is almost ideal, since it allows them to understand completely the needs and desires of both side of the home building process. Your house drafting quote needs to encompass details which are important to you as the home buyer. Does the drafting company clearly understand your vision for the home? Have they asked you about how you intend to use the rooms in your home? Do they know where you intend to build around Brisbane or Sunshine Coast? 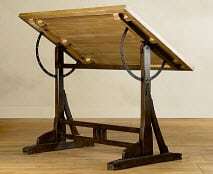 A drafting quote is only as good as the information which is gathered prior to the quote. There will be many more questions asked once you have selected the company to produce your building construction drawing, but those critical questions must be asked while the drafting quote is being prepared. One of the best companies for understanding your desires and giving you a competitive drafting quote is Drafting Concepts. Their years of experiences working with both builders and home buyers have helped them fine tune their quoting system and learn what questions must be answered to provide the best possible service. 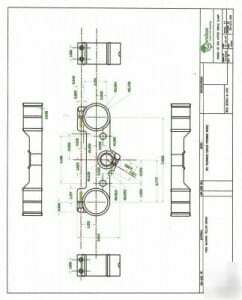 Most companies providing drafting services are very honest and reliable, but when you are getting your drafting services quote the one company you should make sure you get a quote from is Drafting Concepts. Their reputation in Queensland is outstanding. Contact Us for your free drafting quote or call our office on 0403 829 376 to receive your free quote and consultation. We understand that your time is important, which is why our no-obligation free quotes have a 48 Hour Turn Around! Can a Free Drafting Quote Help You Pick the Right Place to Build? 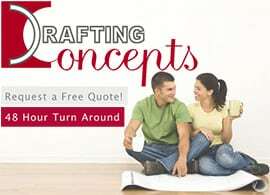 DraftingQuote.com.au is managed and maintained in association with Drafting Concepts Pty Ltd. This website is provided 'as is' with the intent of providing general information only and does not constitute as advice. If you would like information or advise specific to your Drafting Services requirement, please contact Drafting Concepts via the online form or on 0403 829 376 for your free quote.